A wall painting inside tomb TT 40 in Al Qurna in the Theben hills. Seen here: parts of plaster work onto which the paintings where made have been intentionally cut out by tomb robbers because they know the street value the can achieve by selling it to tourists. 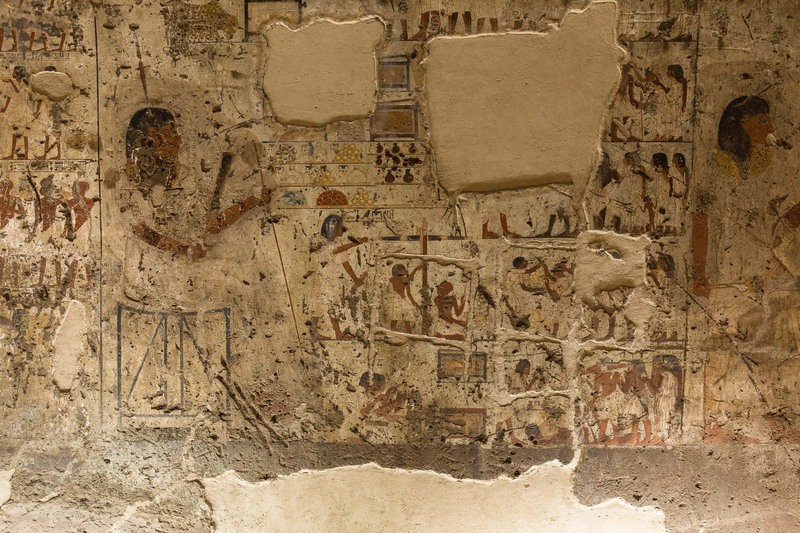 The TT 40 tombs had been closed for over 40 years and when they were reopened at the end of 2014 the authorities discovered that tomb robbers had entered and defaced the walls to continue their illicit trade, Egypt.